Ground lease for residential and commuter parking facilities located at transit station. 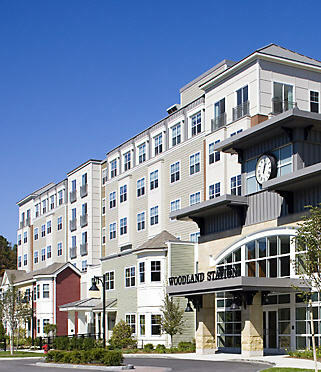 Project Description: Arborpoint at Woodland Station is a “friendly 40b” (Massachusetts high density/affordable/ mixed housing project) transit oriented development incorporating 180 rental apartment units with 25% affordable units and a structured parking garage. some of its financial contributions through parking fees generated by the garage. Status: A 70 year ground lease between National Development and the MBTA was signed in 2004. The MBTA parking garage and housing development are complete.